Film really hit me where I live in 2013. As a fan boy, Man of Steel hit close to home. As a son, Nebraska hit close to home. As an free American, 12 Years a Slave hit close to home. But Gravity? Gravity hit close to home simply because I’m a human being. I saw Alfonso Cuaron’s latest directorial effort on opening day in October, and I’ve wanted to write about it from the time I walked out of the theater, but through all the IMAX and all the 3-D and all the special effects and sound design all I could and can think to write about Gravity is that it is the most primordially moving film I’ve ever seen. There is a lot to talk about in regards to Gravity. It is a spectacle and a drama in the very best sense. Sandra Bullock is an indisputable national treasure. Cuaron’s direction is brilliance committed to film. But what hit me the most in Gravity was not only the incredibly visceral alternating waves of anxiety and triumph but the feeling that anyone watching Gravity, no matter the nationality or language or gender or age, could have the exact same visceral experience I did watching the film. The experience is that profoundly, fundamentally human. Religions, nations, politics and cultures are all man-made divisions of the human experience. Earth is the great nullifier, the orb we all cling to that renders any human difference moot. Earth is the great equalizer of humanity and gravity, its warm embrace. Sandra Bullock plays Dr. Ryan Stone, who is very much a singular character with a compelling, individual character history. But in another sense, my dear friend Sandy is all of us. Not just the women, not just the Caucasians, not just the Westerners. In Gravity, Sandra Bullock is the avatar of all humanity, fighting tooth and nail to reacquaint itself with the bedrock of the human experience. The film’s final scenes push that allegory even further, casting Bullock as a representation of not just human life, but all life. And in that sense Gravity is not just a movie for everyone, but a movie for everything. Velociraptors, Deep Blue Sea sharks, Congo gorillas, any living thing with an inkling of sentience could sit down in a movie theater, watch Gravity and find themselves sucked up into the same emotional whirlwind I spent an hour and a half in. Every plant, ever animal, every stupid dolphin you’ve ever seen in a BBC documentary, every man, woman and child is personified by Sandra Bullock, and then hopelessly shot off to the one place the BBC Earth crew can never follow: space. That’s Gravity. It’s a film about fighting for your life and your home when those two ideas are one and the same. And it is such a good movie. 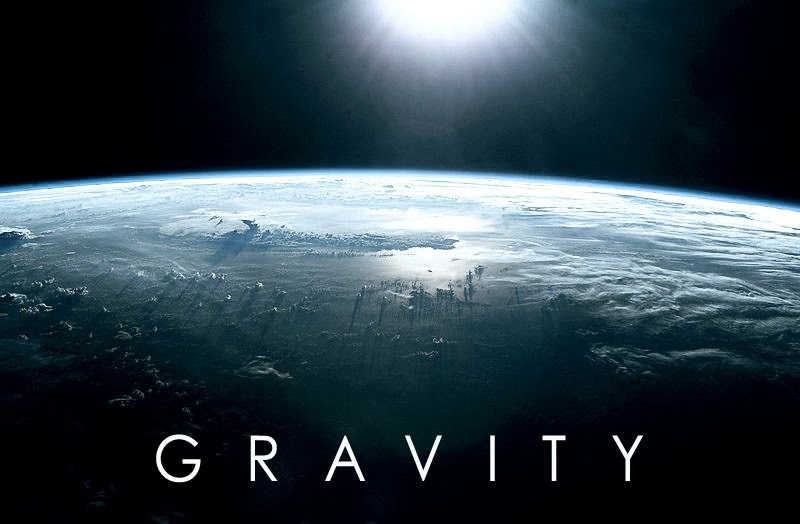 This is a short write up, and it’s one that is long, long overdue, but again, for all the golden acting, writing, direction, cinematography and all-around first-rate film making that there is to discuss in regards to Gravity, the only thing I find myself wanting to write about is how inclusive it is. Gravity doesn’t require the skim of a Wikipedia page, the casual knowledge of a graphic novel, or a vague recollection of a 1980’s original. It doesn’t even require you speak the language. Quite frankly, it probably doesn’t even require you hear. Gravity requires only that you are a living thing that understands it is alive. Sandra Bullock, you have my heart. 1. 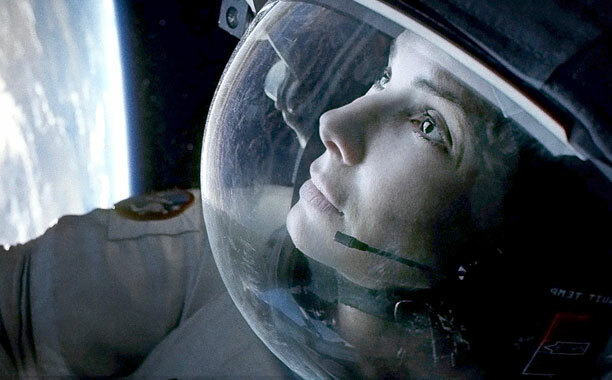 Is her role in Gravity Sandra Bullock’s best performance? 2. When is Miss Congeniality 3 coming out, am I right? 3. What does congeniality mean? I didn’t quite like the script as much as I liked everything else about it. Which kind of stinks too, because this movie truly does deserve to be seen, it just misses that bar that would make it nearly perfect. Good review.